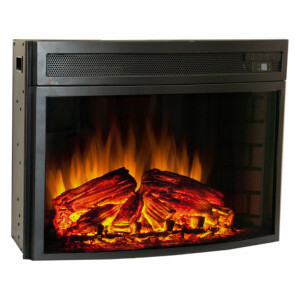 Dimplex 33-Inch Purifire Built-in Electric Fireplace - SAVE 40%! 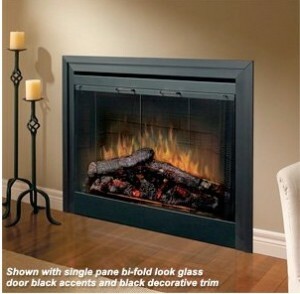 The Dimplex 33″ Built-In Electric Fireplace is a clear alternative to a traditional fireplace. It is easy to install and easy to use with plenty of options to make it an attractive alternative. The fireplace can just as easily be installed along the floor as it can be in the middle of the wall depending on the look you are going for. By taking advantage of the option for a remote control for settings or the external thermostat, it is even easier to enjoy the look and feel of a real fireplace in your home and in any room you choose. The Dimplex 33″ Built-In Electric Fireplace has optional bi-fold glass folding door, in a single pane, that creates a look that many traditional fireplaces have. Choose from among several trim options to create the look you desire. The unit only has to be hardwired for you to start enjoying the this beautiful electric fireplace.